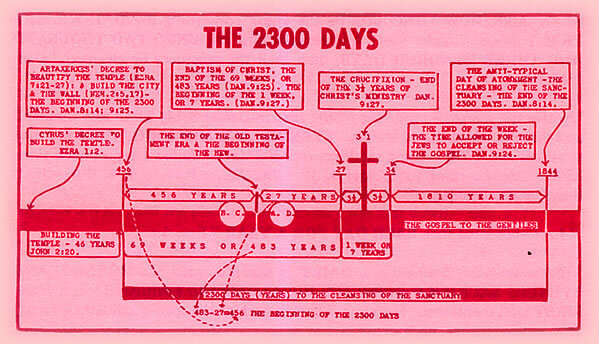 subjects, the 2300 days, the pollution of the sanctuary and its cleansing. insight on exactly how to recognise the signs that will precede it. of thy coming, and of the end of the world?" (Matt. 24:3). which God will establish on earth through Christ must also be preached. times is called Judah, so this is a warning specifically for Christ's people in the nation Israel. left. Watch therefore: for ye know not what hour your Lord doth come." (Matt. 24:35-42). were upon the earth." (Gen. 7:1,4,5,9,10). same day that Lot went out of Sodom it rained fire and brimstone from heaven, and destroyed them all. one shall be taken, and the other left." (Luke 17:26-36). Holy Land with the 144,000 (see Rev. 14:1-5), and be crowned (revealed) on Mount Zion by the Holy Ghost. upper corner stones, heads of the corners. Standing in for Christ, Christ's King is one of them. In the midst of the warnings to flee at once, Christ makes what seems to be a contradictory statement. "Whosoever shall seek to save his life shall lose it; and whosoever shall lose his life shall preserve it." survive, "whosoever shall (take a risk that he might) lose his life (by trusting in God) shall preserve it." men shall be in the field; the one shall be taken, and the other left." God that you do not interfere with those who say they are fulfilling prophecy! from heaven, and destroyed them all!" the Lord, and shall not find it." (Amos 8:11,12). and I will make it as the mourning of an only son, and the end thereof as a bitter day." (Amos 8:9,10). 15,16). We can expect help from God's hosts in every gathering of the Kingdom of God. coming of the Messiah (and the destruction that followed) as explained by V. T. Houteff. were to make an end of sin and make reconciliation for their iniquity, or else be hopelessly given up. Next Daniel was told where the 70 weeks begin:"
a nation failed to make an end of sin and were therefore rejected, given up." also take warning from His words. Daniel mentions "the abomination that maketh desolate" twice. the daily sacrifice, and they shall place the abomination that maketh desolate." (Dan. 11:31). set up, there shall be a thousand two hundred and ninety days." (Dan. 12:11).